Use a clean drill bit to drill a hole in an apple. Stick a gummy worm deep in the hole so only about an inch is sticking out. 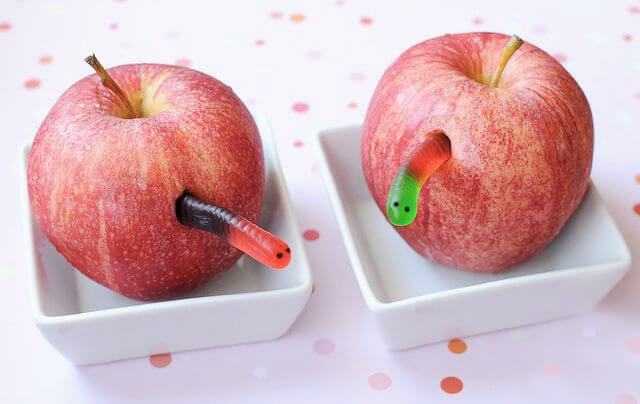 When it comes to snack time, your kids will get a very funny surprise!